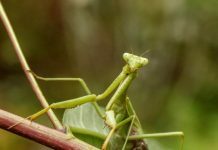 However bizarre or intimidating they may appear to be, praying mantises have long intrigued scientists not only for their amazing camouflaging ability but also for their uncanny ability to control the spin of their body. Worldwide, there are around 2,400 species of a mantis—ranging in size from as small as a human nail to as big as a human forearm. Perhaps it’s time to bring out some more interesting facts about praying mantis. 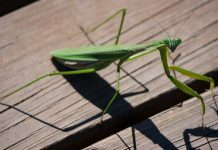 The praying mantis earns its name due to its prayer-like posture especially when it raises its seemingly reverent forelegs. 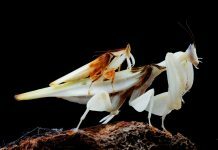 For the same reason, the mantis is highly esteemed in some parts of the world; a few people even consider mantids as a sign of good luck. 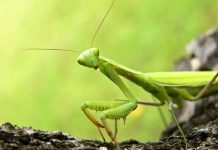 Studies suggest that the praying mantis is probably the only insect able to swivel its head and stare right straight at you. Lately, scientists have also discovered that the mantis’ eyes may well be equipped with 3-D vision. A mantis doesn’t jump haphazardly. In fact, it is able to control its trajectory by twisting its abdomen and body parts alongside head. They don’t miss the target. The head-movement is meant to judge precisely the distance between the two points. You might have heard that birds feed on insects but how about if it occurs the other way round. Mantises are the only insects that feed on birds. While hummingbirds are the most primary target mantids do take on European robins, sunbirds, flycatchers, warblers, honeyeaters, and vireos. Chinese mantises, one of the biggest species, are particularly avid avivores. Only females kill and eat the birds. 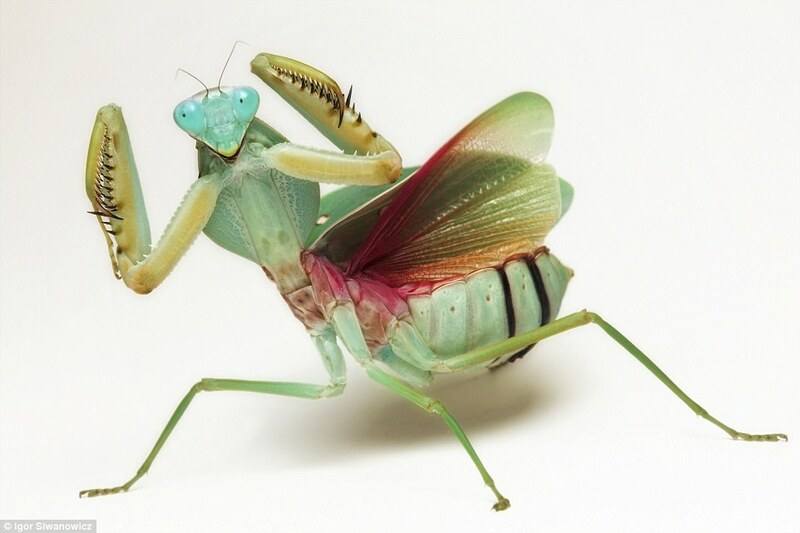 The female mantis kills and eats the male either during or sometimes after the mating. She bites the head off the male. 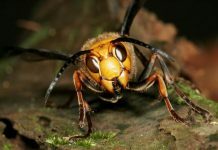 Since females are twice bigger than the males and they cannibalize their mating partner males usually avoid head-on with the female. Males are thought to fly only although both males and females have wings. Females, with their heavy weight and bigger size, are probably just too heavy to lift off the ground. Praying mantises have five eyes out of which two are compound eyes while three are simple. 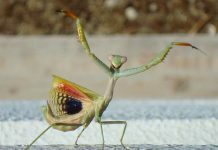 Scientists believe that mantises might see things in three-dimensional way just like we humans do. Mantids are ambush hunters and their predatory nature enables them to take on animal the size of their own. Like big cats, they will stalk prey and grab it with its neck. The female mantis produces 100 to 300 eggs over a period of several days. The eggs are protected in a hard frothy liquid. The entire egg sack is known as ootheca. While in flight praying mantis manages to generate a bit of spin together with swinging their head side to side. They will swing their heads to gauge the distance and judge the landing on a ridiculously iffy target.